The Inn at the Presidio of San Francisco – When the United States Army was posted in San Francisco, Main Post was both socially and administratively the heart of the Presidio. Main Post’s Pershing Hall was the epitome of the classic social gathering place. Today, it is the hub of the beginning of many visits to Golden Gate Park. Pershing Hall was built in 1903 to accommodate the unmarried soldiers’ need for adequate housing. Married soldiers lived close by in Officer’s Row, a community of cottages built in the Victorian style of architecture. Officer’s Row is the oldest community in San Francisco that remains intact. Pershing Hall was named after General John Pershing, known as Black Jack to his compadres. He not only served at San Francisco’s Presidio, but he was also the commander of the forces in France in WWI. After the war, the buildings were used as quarters for visiting officers until the Army departed the Presidio in 1994. It is now listed as a historic place in the National Register. Located at the southern entrance of the San Francisco Port, the Presidio houses not only the Inn, but also museums, eateries, various businesses, churches, and several walking trails. Just minutes away is Fisherman’s Wharf, Golden Gate Bridge and Park, and endless neighborhoods where you can find some of Northern California’s best food and shopping. Once the most elegant of bachelor pads for US army officers, Pershing Hall, the historic Inn at the Presidio is now a lodge featuring more than twenty spacious guestrooms. Built in the architectural design known as Georgian Revival, Pershing Hall also has seventeen suites complete with their own fireplaces. 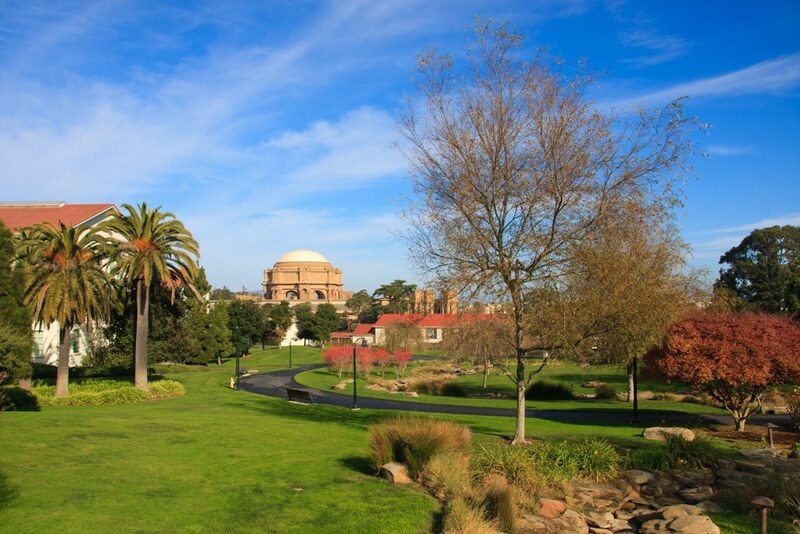 There are meeting halls within the Presidio, as well as several more within walking distance. If you’re looking for an authentic historical vacation spot and innumerable opportunities for recreation, the Inn at the Presidio has you covered. These are just a few of the many reasons why this is perhaps the best destination among the choice of hotels around Golden Gate Park. From here, you’ll also have easy access to Union Square, Marin Headlands, and wine country.